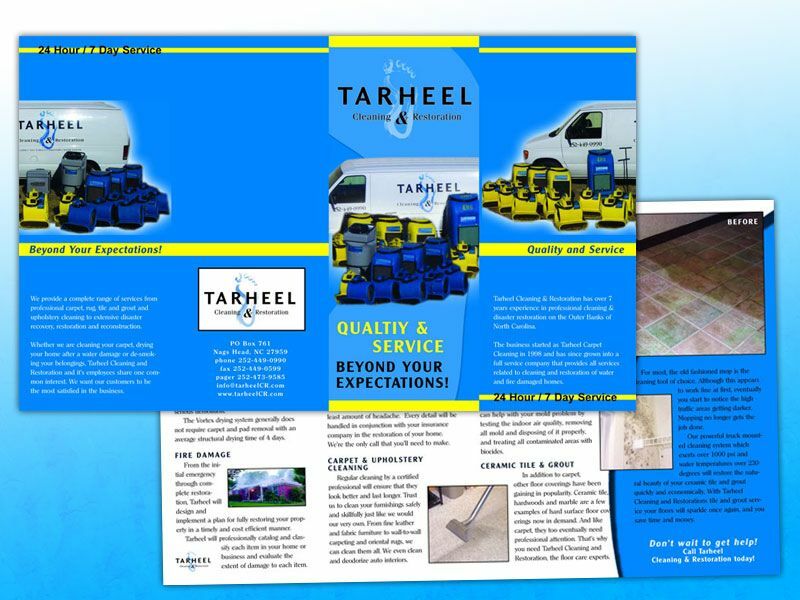 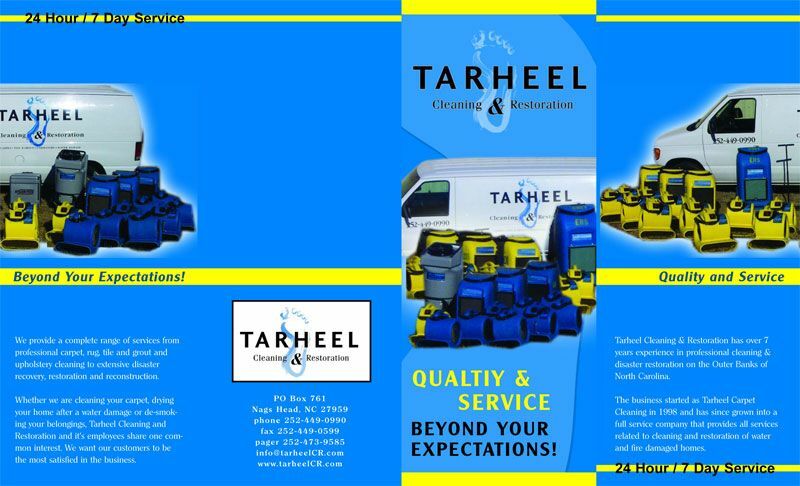 This brochure was developed with the same style as their logo and website, working with the Carolina blue, and the Tarheel symbol. 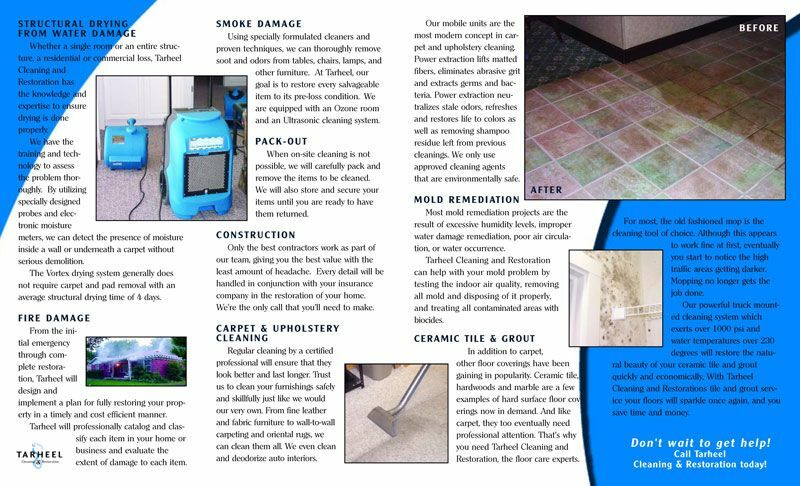 The brochure clearly states the services offered, and some images to show before and afters. The brochure also features an non-traditional gate-fold where the two outside panels open from the middle to expose the entire inside sheet at once.